Clatskanie Farmers Market | The Coolest Little Market in Oregon! Click HERE for the vendor application! Building just one block off Hwy. 30, in Clatskanie. Cost is $25 per 8 ft. table, $45 for a double space. Accepting vendors selling their own baked goods, handcrafted items, art and value added products. No resale permitted. It wouldn’t be spring without vendors selling new things to plant, hanging baskets or even some fresh, early produce all from our local farm direct producers. Start planning/planting now for this fun event. The Oregon Farmers Markets Association announced in September that it had been awarded a $247,000 federal grant through the USDA’s Farmers Market Promotion Program and Clatskanie Farmers Market is one of five farmers markets selected to take part in the program. The Oregon Farmers Markets Association (OFMA), in partnership with five small and medium sized rural farmers markets, Oregon State University’s Center for Small Farms and Community Food Systems, and other partners, received this three-year grant to launch the Beginning Vendor Support Network (BVSN), which aims to study and support the role of farmers markets as small business incubators for their beginning vendors. With the average age of the American farmer steadily climbing, reaching 58 years old as of the most recent USDA Agricultural Census, fostering beginning producers has become a hot topic in food system conversations. Farmers markets are a place where many new producers get their start. “We know that not every farmer ends their career selling at market, but a great many of them begin their careers there,” said Kelly Crane, OFMA Executive Director. Jen Cheek, Executive Director of the national Farmers Market Coalition agrees: “Farmers markets serve as small business incubators, providing low-barrier entry points into the local foods economy for beginning farmers and food businesses to get started. Just like farmers grow crops, farmers markets grow farmers,” says Cheek. Oregon State University is also heavily involved in this project. OSU faculty will help evaluate the program’s success, conduct research and publish the results to help others who are looking at solutions for these issues. “OSU Extension is excited to provide research capacity as we partner with OFMA to better understand and meet the needs of local food entrepreneurs who are selling through farmers markets in rural Oregon,” said Dr. Mallory Rahe, Extension Community Economist. “The OSU Center for Small Farms and Community Food Systems has a long history of partnership with OFMA. We are excited to work with them on this innovative and important new project,” said Dr. Lauren Gwin, Assistant Director of the Center. The Clatskanie Farmers Market was organized in the spring of 2014 as a result of positive community interest. After a successful first season, the CFM became a 501(c)(3) nonprofit organization, operating under the guidance of a Board of Directors, with an emphasis on food literacy education and advocacy for our community’s healthy lifestyle. The Market is open seasonally, June through September, from 10am-2pm in Cope’s Park, across from the Clatskanie Library, just two blocks off HWY 30. 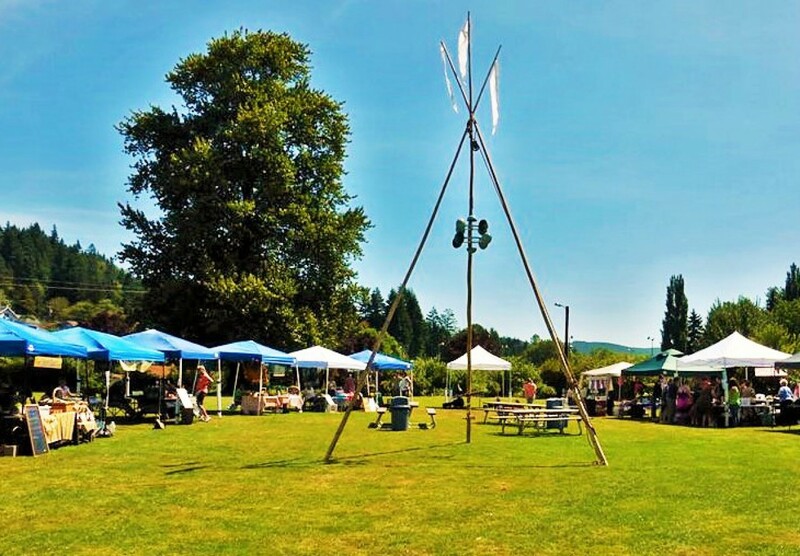 Clatskanie Farmers Market features a unique green-space setting, weekly live music and a family-friendly outdoor venue to shop for local and unique produce, arts & crafts, and much more! In 2018, for our 5th season, the Market welcomed over 25% more shoppers, increased overall sales, and saw a peak participation of 20 vendors in August. The Market board of directors and volunteers worked diligently all season to bring special events to our community and fun for all ages. Highlights during 2018 included a special Kids Day, a Bee Education Day, the popular Garlic Festival and a Cider Pressing Season Finale. The CFM gladly accepts EBT/SNAP payments for qualifying purchases and additionally, select farmers honor the FDNP and WIC vouchers. Consider shopping locally for your family’s healthy groceries, ingredients for your next barbecue, unique gifts for those special people in your life, or just come to have lunch and enjoy this weekly fun, community event! We’ll see YOU at the Market! Join us for Bee Education Day – Saturday, September 2, 2017 @ Copes Park in Clatskanie, when the market will focus its attention on bees. Check out an observation hive to get a glimpse into the life of a colony. See a solar wax extractor. 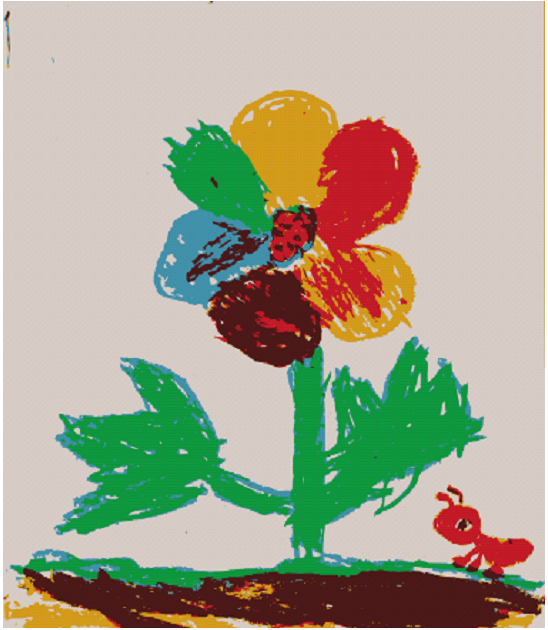 Bring the kids to make a bug/bee home and play with real beekeeping equipment. Taste some delicious food samples made with local honey. Chat with local beekeepers. Shop for fabulous body care products, bee-inspired art, handcrafts and baked goods. The list goes on…. and on. Vendor Recruitment is Underway for the 2017 season! As members of the Clatskanie Farmers Market non-profit organization, vendors are encouraged to attend board meetings, join committees, help plan special events and get involved! The next upcoming board meeting will be held at the Clatskanie Elementary School Library on Monday, March 6th, 2017 from 6 PM – 8:30 PM: Pot Luck @ 6 PM; Meeting Called to Order at 6:45. In addition to regularly scheduled business, topics on the agenda will include updates on the FEAST grant, this month’s BLOOM event, the Spring Bazaar, the St. Helens Home & Garden Show, our first annual Blueberry Festival, and more! Come and see the behind the scenes efforts to make the Clatskanie Farmers Market’s 4th season a huge success for all! This all-volunteer board works tirelessly year-round to grow this organization – come make your voices heard, too! Note: This board meeting will follow the FEAST/Seed to Supper meeting (4:30pm at the same location). Clatskanie BLOOM: A Spring Celebration of Art! Clatskanie Farmers Market, Clatskanie Baptist Church Backpack Program, and Clatskanie Elementary School have received a FEAST Grant. FEAST (Food, Education, and Agriculture Solutions Together) is sponsored by Oregon Food Bank to facilitate conversations within communities to identify and collaborate on opportunities to build and/or improve local food systems. As the name suggests, there is a feast involved. Participants will be served a meal featuring local produce, after which there will be a conversation identifying the food system needs of the Clatskanie area – both day-to-day and in the event of a disaster (flooding, the Big One, etc.). After the FEAST event, one to three program suggestions will be identified and funded through a $4000 grant awarded by Oregon Food Bank to implement these programs. The time-line runs through December 2017 at which time there could be other grants in place to continue the successful programs. MISSION: To mobilize community members to identify and implement a food system improvement project(s).